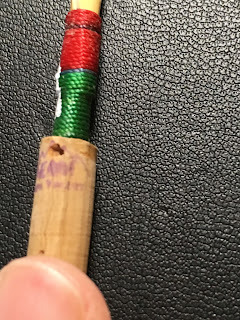 Right at the end of last year, right as I was sailing into the last Holiday Pops concert of a long season, I made a reed. It was a good reed - one of those reeds that is good right away, so I didn't have to wonder or waste time fussing. I liked it as soon as I made it. It had a perfect balance of resistance and response, the sound was rich and vibrant, and it did what I wanted without having to be forced. It was even colored just right for a holiday pops concert. 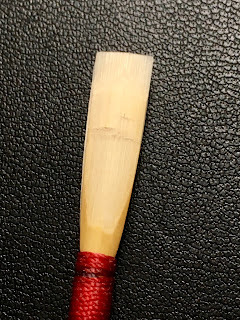 I played four services on that reed - one right after another, for three days - and it never required an ounce of maintenance. No cleaning, no polishing, no refine-the-corners-again-and-clip, no worries at all. Just soak it up and play all the music. I called it my Christmas Miracle. 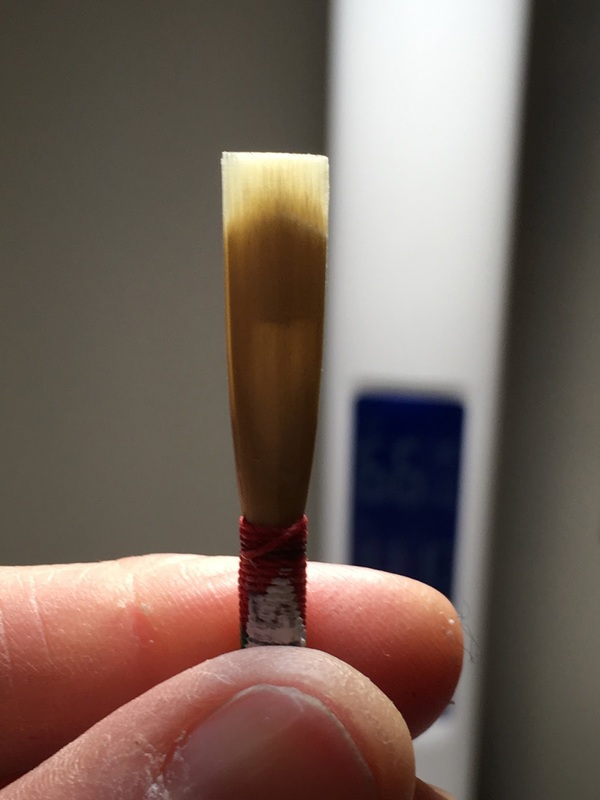 Subsequently I took a couple of weeks off, and when I came back in January it was STILL a great reed. I recorded an audition CD on it. Played it on a Mozart concert. Put it away for another few weeks and then used it for our exciting Muses's Workshop chamber music concert last weekend. It was still gold Monday night and I played it for my CD release concert. It's incredibly rare for a reed to be that good for that long, so although I am not a measurer or a saver I decided to record this one's specs for posterity. Let me say, I'm very much a math person in my life. Numbers are my friends. I LOVE a metronome. But my approach to reed-making is much more intuitive, and much more about reacting to the individual piece of cane I'm working on. I don't generally take any micrometer readings at all, and use my length benchmarks only as a guideline. 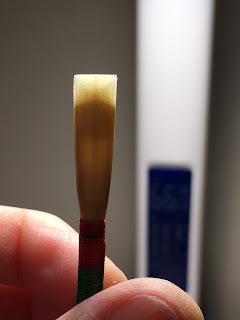 The numbers I'm going to cite here would mean more to me if I was more aware of my norms - but I'll be interested to be able to look back on this during a reed slump sometime, or to hear from other oboists as to how these compare to their own standards. 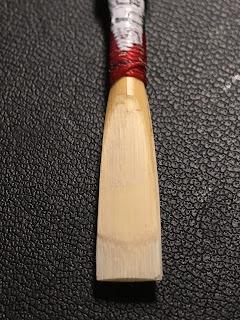 The reed was wound on a 47mm brass Sierra tube. I would have wound it at 73mm (that's a number I stick to) although I didn't make specific note of that at the time. Who knew it would be so good? 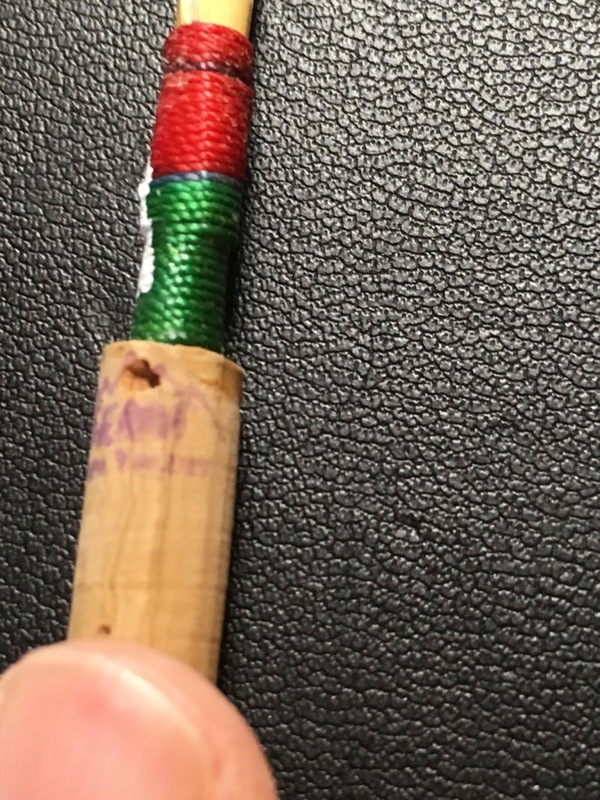 As you can see, the cane cracked just above the thread on both sides. This is a thing I don't like, but I don't automatically discard a blank with this issue - and a good thing, too, in this case! The South Bend Symphony's MLK Day concert will be tomorrow night. As always, my favorite thing about this event is the new music we get to perform. This year we are featuring a 1991 work by Michael Abels, Global Warming. I had presumed from the title that the work was about climate change, and I was on board with that message. But as I worked on my part, it just seemed too chipper and cheery, too folksy and happy for that. So I did my research. "Global Warming was written around the time of the collapse of the Berlin Wall, when the Cold War was ending. Living in Los Angeles, I've been able to learn about music from around the world simply by opening the window; among my neighbors are immigrants from every corner of the world. I was intrigued by the similarities between folk music of divergent cultures, and decided to write a piece that celebrates these common threads as well as the sudden improvement in international relations that was occurring. Since the piece was commissioned for an orchestra in the desert city of Phoenix, AZ, "global warming" was the title that seemed to incorporate all these ideas best." And how delightful that the message of this piece is actually one of unity, celebration, and optimism! What a wonderful way to honor the memory of Dr. Martin Luther King, Jr, and how timely to offer this message of global unity, given the terrifying reality of our current political situation. Music SHOULD be something that brings us together, and SHOULD be something that inspires and engages us. I'm an hour away from our first rehearsal. Reality has not yet asserted itself - I don't know how the overall arc of the concert will feel, how our guest conductor will be, whether everyone will be prepared with the tricky rhythms and grace notes in the Abels, how the overall presentation will come together - so for now I can revel in my optimism, and my enjoyment of the concept and the plan. Come on out tomorrow night, and hear how we do! Details HERE. The South Bend Symphony has a concert this afternoon. We're playing Mozart, which of course is always great stuff. Don Giovanni Overture and Symphony no. 40. I have no complaints. But the star of the show is Scott Metlicka, our piccolo player, featured in the Liebermann Concerto for Piccolo and Orchestra. It's a beautiful piece - romantic and flowing. It sounds like pastoral movie music one minute, and in the very next it becomes a virtuoso flourish for the piccolo. I'm really enjoying hearing and playing it. The great thing about Scott's playing is that he really makes the piccolo sound like an instrument. 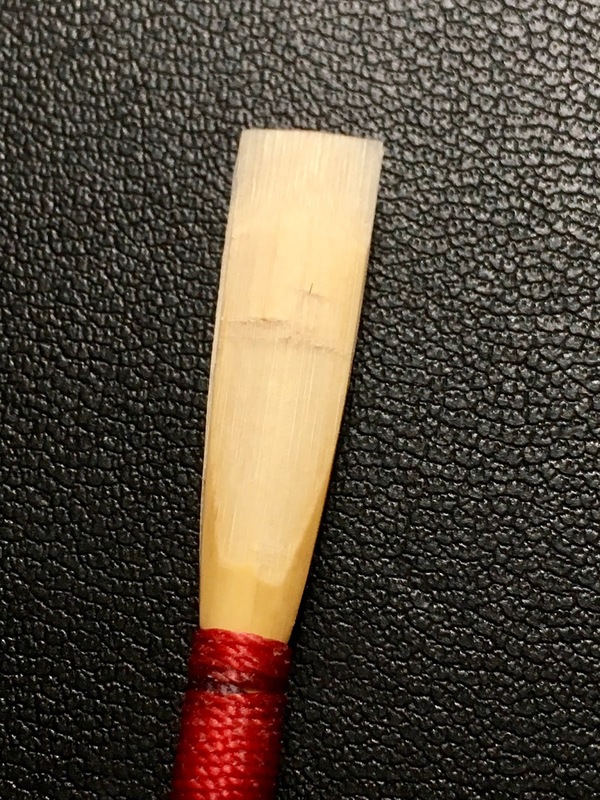 Far too many people play this tiny flute like an unpleasant toy, but the Liebermann Concerto is a real piece of music, and Scott gives the picc a real range of color, and a range of dynamic. He phrases on the thing. The piece is virtuosic but also rhapsodic and beautiful, and for me it's the highlight of the concert. Come on out and see for yourself! Sunday at 2:30, at the DeBartolo Performing Arts Center at Notre Dame. Details and tickets HERE. Happy New Year, everyone! I know I fell off this blog at the end of the year - the schedule got overwhelming and getting my CD released took up a lot of my time. But I'm back now. I love the oboe, I love writing, and I love you all. Over the holiday Steve and I visited the Smoky Mountain Knife Works. It's on that giant, congested strip of attractions in Sevierville, TN, and it's a very... outdoorsy store, so I didn't have high expectations of finding anything for me. But ooooh we had a great time. I've never seen so many knives and tools and the staff were super knowledgeable and friendly and helpful and we were there for hours learning and shopping. The inexpensive folding pocket reed knife I purchased didn't end up working out for me. 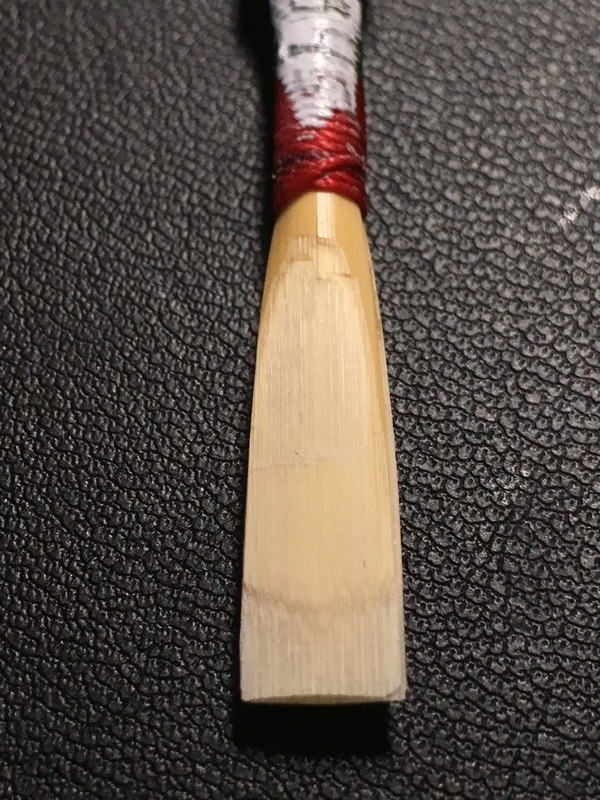 It had the right shape, and I loved the size, and I felt like a real bada$$ whipping it out of my pocket to scrape a reed - but once I started really working I couldn't keep an edge on it and fell out of love pretty quickly. I'm on the lookout for another folding option, though, now that I see what is possible. I DID discover a spectacular sharpening stone which is about to become my primary tool - and for a crazy low price and in a teensy travel size. I've experimented with diamond stones before but haven't found one this fine. The coarser ones I've used have made a fairly jagged edge on my knife - no good for reed-making. So I generally work with diamond stones only to reset a VERY dull knife, and follow that up with substantial work on my finer grit stones. This tiny green strip, though, is giving me a terrific edge on my (already sharp) knife, with only a few light swipes. I find that I'm addicted to the burr it gives me, and it's so easy to achieve that I swipe much more frequently than I did before, but that doesn't make me resentful at all. It doesn't feel like having to WORK to keep an edge on, more like choosing to use the absolute best edge I can have instead of the adequate blade I already had. And for my purposes, as a traveling oboist and teacher, the tiny size is a huge bonus. It's even smaller and lighter than the spyderco doublestuff stone which I have always sworn by. I don't see myself actually attaching it to my keychain - but I COULD. That's the size. I've only been using it for a week or so, but I'm all in at this point. Great sharpener, great price, everything I need. Happy January to us all - it's time to get back to work! Update: my previous post on knife sharpening is HERE.